The Continental AllSeasonContact is the second summer-bias all season tyre to the market, and a rival for the Michelin CrossClimate. The AllSeasonContact combines good winter and summer performances, plus best in class rolling resistance. The AllSeasonContact will be available in 14 to 18-inch sizes, widths of 165 to 245mm, 40 to 70 series cross sections and T/H/V speed ratings. Tyre review data from 10 tyre reviews averaging 93% over 52,770 miles driven. Positive - Excellent in the snow, good steering precision, handling and grip in the wet, very good aquaplaning results, good wear. You would need to check to see if there was a safe amount of clearance as the new tyres are bigger, you would also need to factor in your speedo would now be out, and you would need to notify your insurance company of the new tyre size. 2018-11-15 - Do you know the treadwear of this tire? I wonder how much mileage this tire has. The treadwear will vary from size to size so you would have to check directly with Continental, however if you look at this years Auto Bild All Season Tyre Test it covers wear testing. As the Continental All Season Contact has a similar snow and ice performance to a full winter tyre, I would not recommend mixing all season and summer tyres as you could experience similar issues to the winter/summer setup! Initially tested on very wet and slushy country roads and additionally on 5-10 cm compacted snow in the mountains. Tyres appeared to perform as well in these conditions as my full winter tyres (Nokian WR D4). Dry braking performance in the 0-8 degree range seems very good but fast cornering and general dry handling was lacking a little to my summer Pirelli's when the temperatures were nearer 8 degrees. Still sufficient dry handling for all but the most spirited of drives I would say. Early impressions are good, more winter and dry testing needed but the wet performance has been exemplary. No wear yet so too early to give a wear rating. Have you driven on the Continental AllSeasonContact tyre? 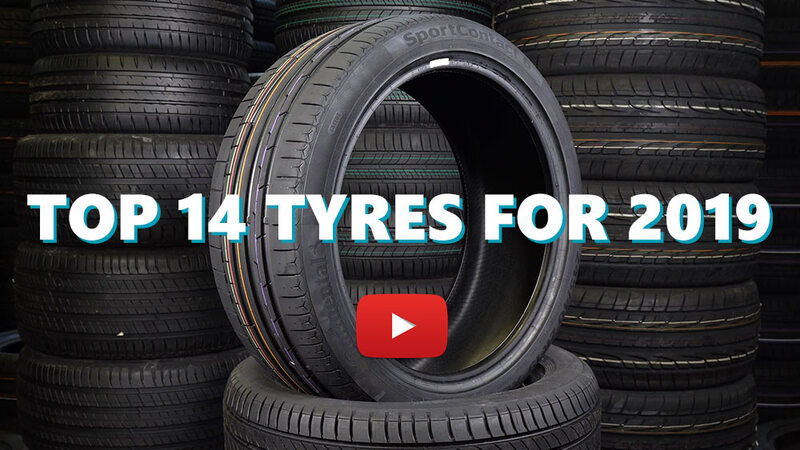 Please help millions of other drivers make an informed tyre choice and pick the correct tyres for their car by submitting your review of the AllSeasonContact. I've finally had chance to use this in snow and they're as good as they are in the dry and the wet. A really well balanced all season tyre, highly recommended. Only thing I've yet to try is really warm running. Over summer on dry and wet is great tire. In town ride on town-weared roads I get no spinning of weals. Start/stop on during rain also great - Golf MK4 150hp. Now when cold weather is also great behaviour on roat, open road also great, quiet on hi speeds. Dont know how it will be on snow, ice...but I dont expect poor behaviour. Previously I owned Kumho solus vier (all season), It was ok first year - but after 2 years it was so bad I bought 4 years old used winter tires and that was BIG improvement. Kumho on dry town roads was all time watching brakes and peddals - if i want to join trafic fast - i get wheels spining...Terible on wet road, teribble on snow - tires were as plastic! 4Years old 2 dunlop and 2 godyear tires were great for change that winter...until I bought Continental AllSeason - Now I get reliable car on road, reliable behaviour, brake, start. No need to drive EXTRA carefouly. Will see how is with wear over time. I bouht continental over michelin because of wear - in test and reviews I see Conti get more miles, and caracteristics are ok for my wheather conditions. I dont think it would be wrong to select one of top 3 tires on these reviews. Where you drive and how much is important. I dont drive much, no snow more than few days/weaks...some rain. If I would have more snow or winter conditions I would probably go for michelin all season tires! Initial view - excellent tyres well worth the price. Changed from Continental EcoContact 3 (5mm tread left) to AllSeasonContact. Big improvement in ride quality. Refinement improved at motorway speeds- much quieter over coarse motorway surfaces. Steering precise with better turn in, feels more like a good summer tyre than a winter tyre in this respect. More compliant and settled ride, soaks up bumps, surface changes and mid corner bumps much better. Stable under heavy braking. Higher level of grip in wet weather compared with the previous set of tyres. Not yet used in the snow.